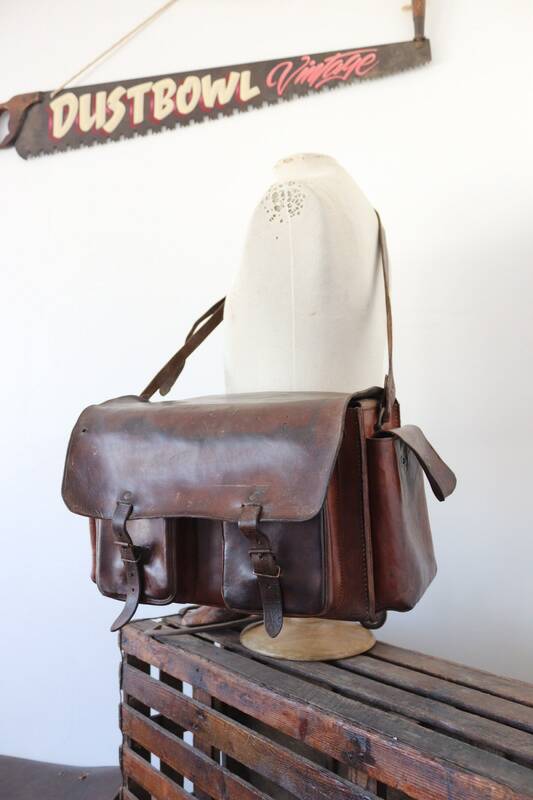 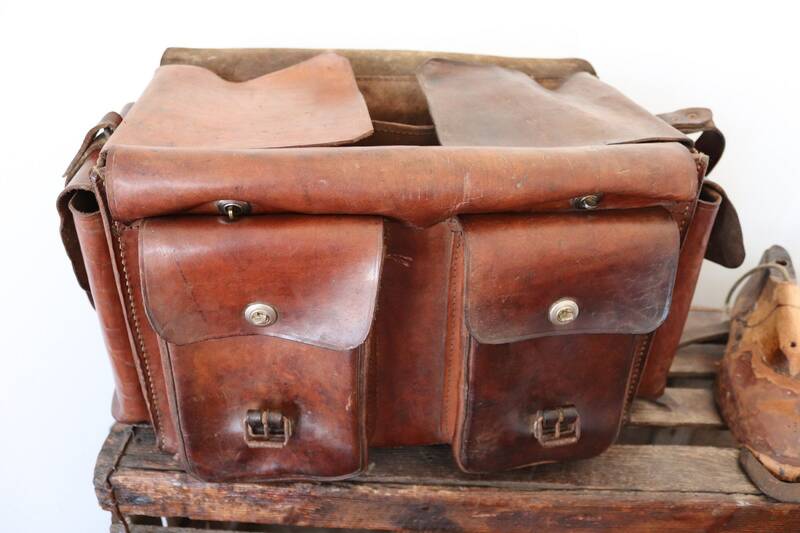 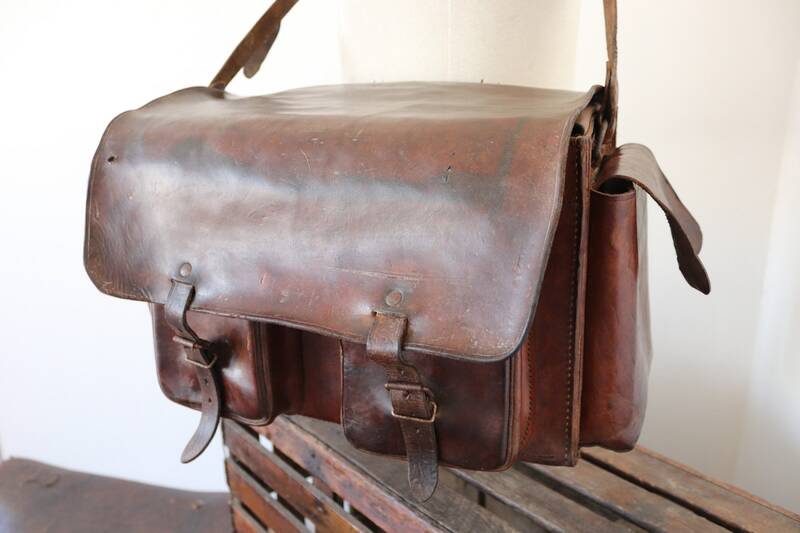 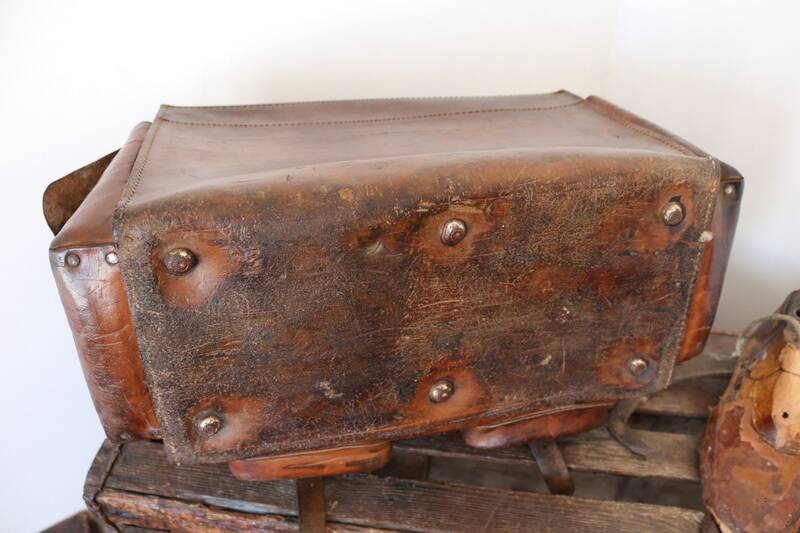 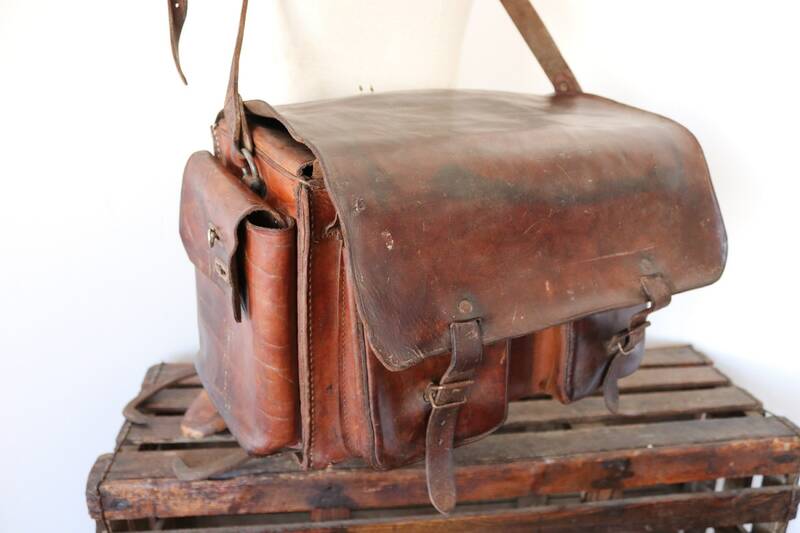 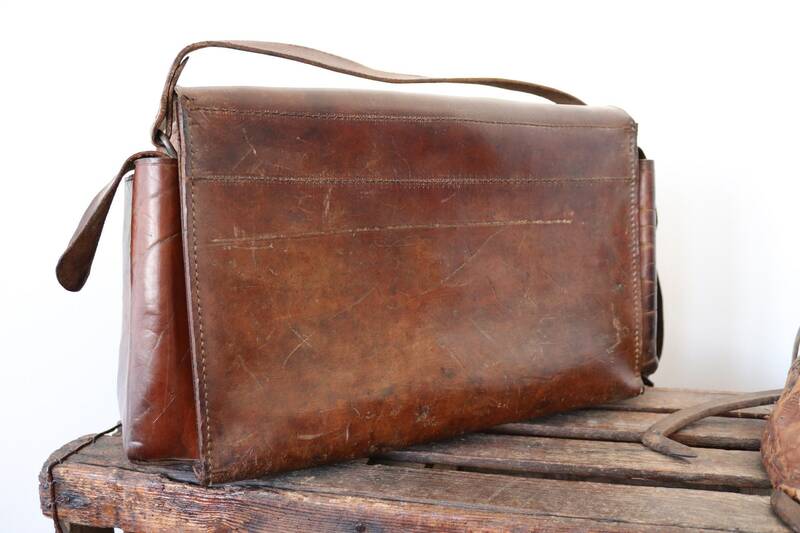 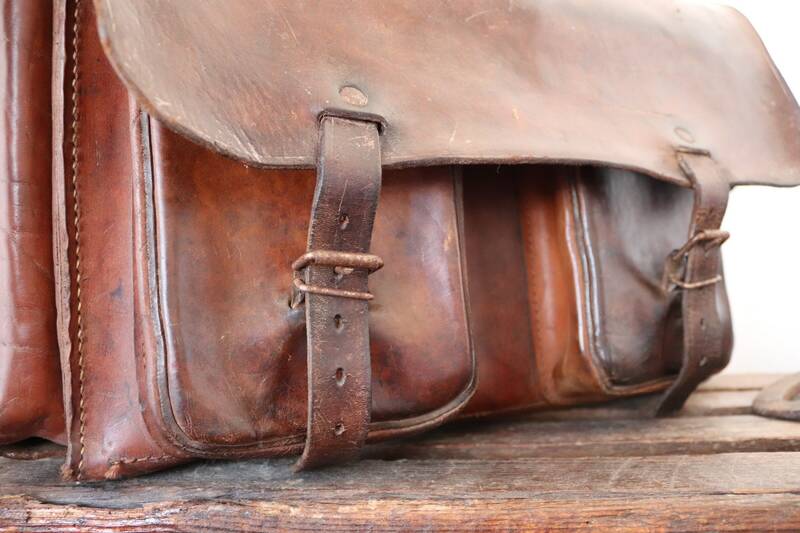 A large conked-brown leather French shoulder bag, dating from the late 1940s or early 1950s. 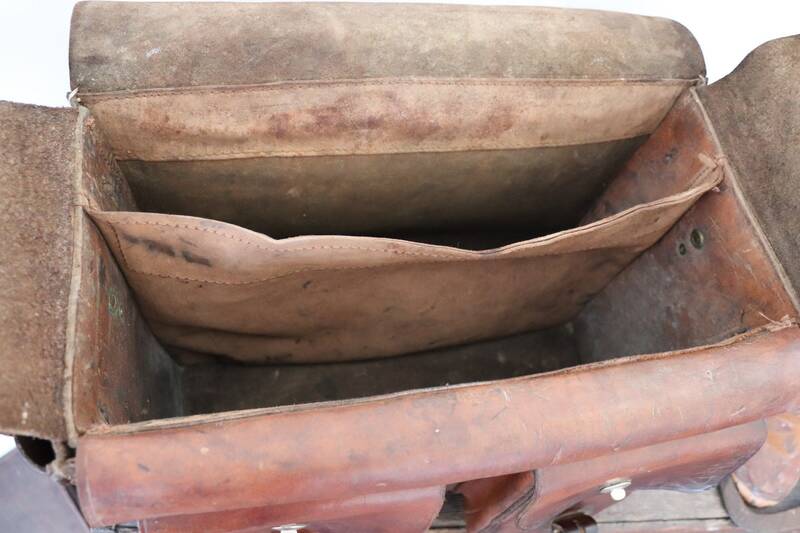 Noted flaws - scuffs and scrapes to the leather throughout, missing a fastening on the left hand side pocket - please see photos. 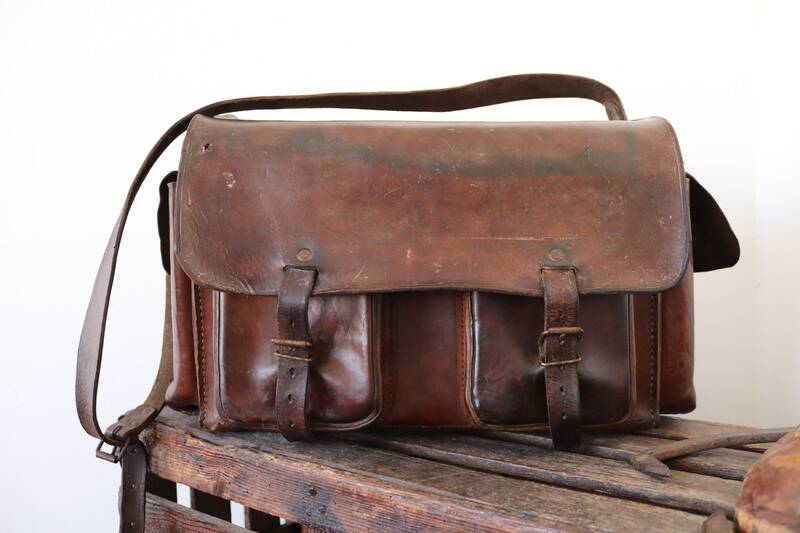 Excellent quality, sturdy, extra large sized bag, perfect for a weekend or carry-on luggage bag, weighs just over 3.5kg empty, large main compartment and five smaller pockets, great style. 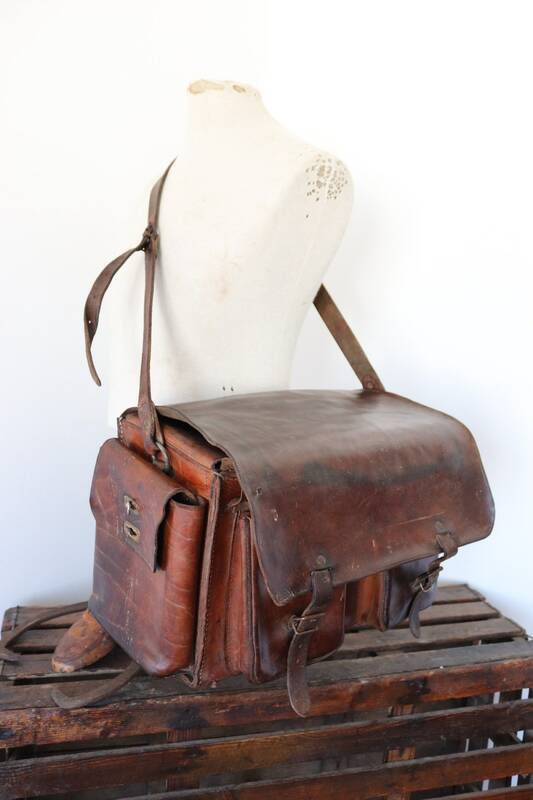 Measures approximately D10" x H11" x W18".